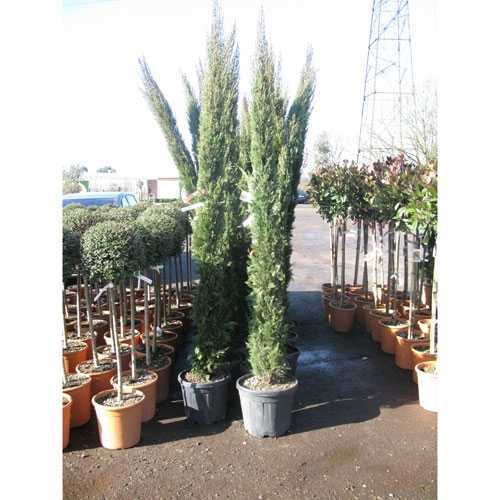 Cupressocyparis Sempervirens 'Stricta' is an Italian cypress, also called a pencil pine, is an evergreen tree that is narrow strictly erect and reaches heights of around 40 to 60 feet. This tree is rarely wider than 3 feet. The branches grow upright and are brown to grey in color. Please be aware that a delivery charge will be added to this item.